It's been awhile I haven't post anything on this site. Sorry, I've been MIA due to real life stuff. But today I'm back with my very first custom content for The Sims 4. So I'm really excited! What do I think about the game? Do I like it? I LOVE it! I've been playing for more than 160 hours since I got the game. Crazy! It's really the game that I wanted. It has the mix of TS2 and TS3 so it's really a fun game. that I emptied. This can be useful for starting your own legacy or if you only into building, modding, etc. First thing first I have to warn you these empty worlds will replace yours by the time you install it. Everything in the worlds like your sims, lots, collections, progress, etc,. will be gone. So make sure you have a backup saves just in case you want to switch back to your own worlds. Do Not put my saves folder with yours and mix them up together cause it's just gonna mess up your game. Put the saves folder (and everything included) in your Document/Electronic Arts/The Sims 4 to replace the current one. Remember to back up first!!! All cc or mods in Mods folder, sims in Tray folder (they show up in the Gallery), Screenshots, Game Settings and Custom Music files will still be there. These saves will only replace the worlds and everything in them. In each world there's only 21 empty lots that I changed as residential lots (don't worry, you can change them to be whatever type you like later) with no population. The only sim that still remain, I couldn't delete no matter what, is a gardener with level 10 gardening. So he can be useful for your game. You can find him in 'Household Management' under 'Unplayed Households' - 'Not in World'. 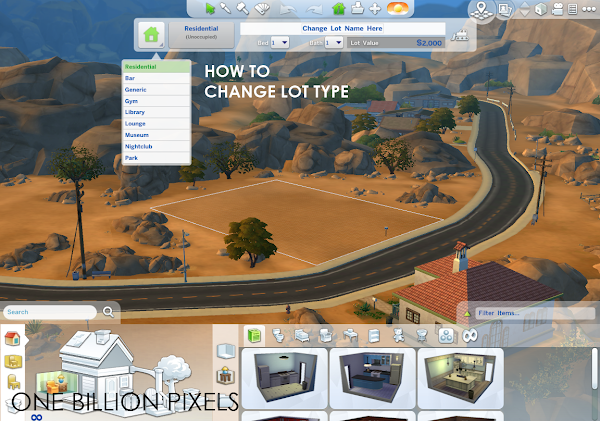 To create new household you can click on empty lot to give you the option. 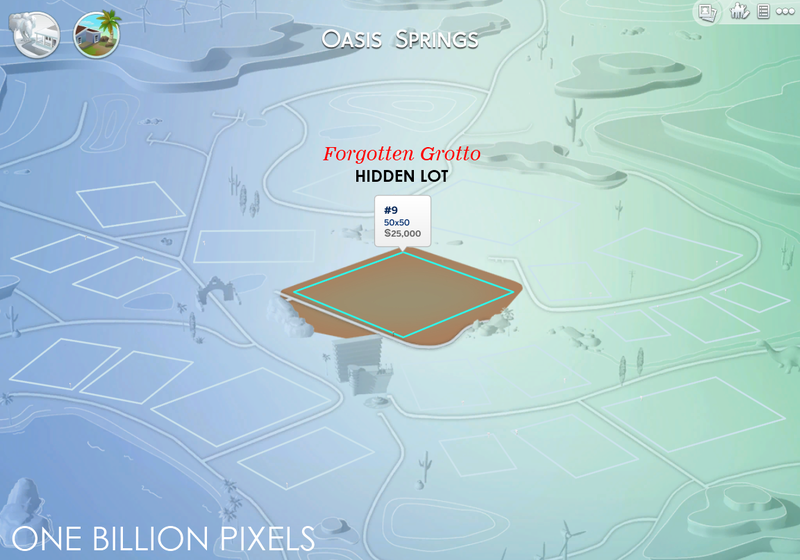 You can also bring any sim(s) from the Gallery and move them in to an empty lot. 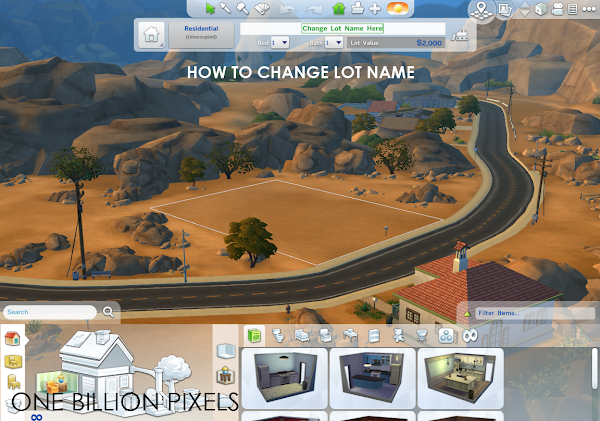 To change the lot type and the name, you can click the information button. 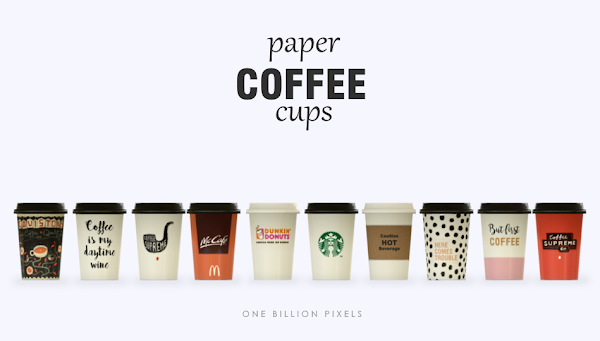 You can see the pictures below to give you idea. The hidden lots are still inside the worlds. You can access them when you visit the lots shown in the pictures below. Now I include half empty and fully empty of these worlds. You can only install one so choose your flavor! Please read the instruction above before you install! If you choose to install half or fully empty Oasis Springs then Willow Creek world will still be there untouched. The same goes with Willow Creek world! Half empty world have only community lots. The rest are just empty lots. I moved the premade sims to Unplayed Household bin. Fully empty world have only empty lots. 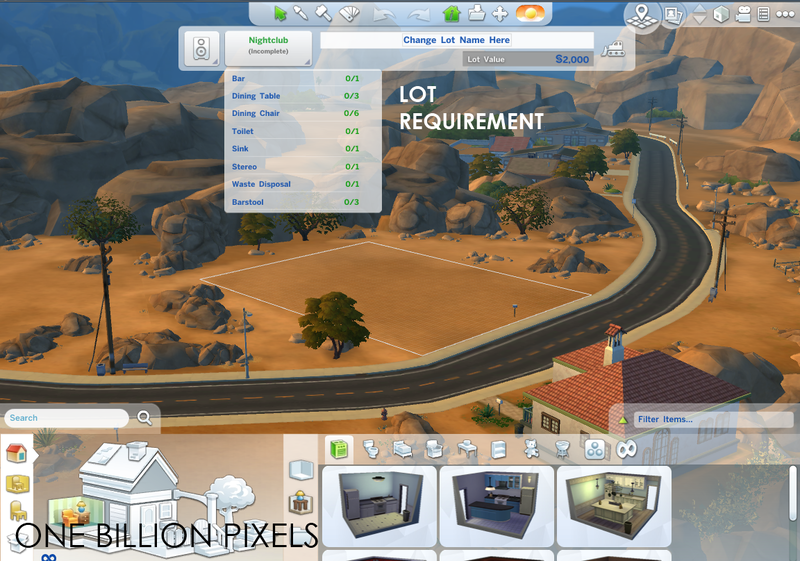 I removed the premade sims from the residential lots. If you have any question feel free to ask. I'll try to reply as soon as I can. Fantastic Work! I really needed this !! I spent hours moving things around last night! Thank You So Much! HUGS!!! Hey! Cool to see you back. Does this mean that you will not make stuff for the sims 3? I cannot answer that for now. Maybe I will, or maybe I won't. But for now I'm creating for TS4. Anon, please try the link again. I just tested it and it works fine. Hi there, I just tried it and it works fine. Please try download it again and wait for 5 seconds then click 'Skip Ad'. Thanks! The error 522 was coming in after AdFly. Hosting server might have been temporarily down. Either way, thanks! 1. 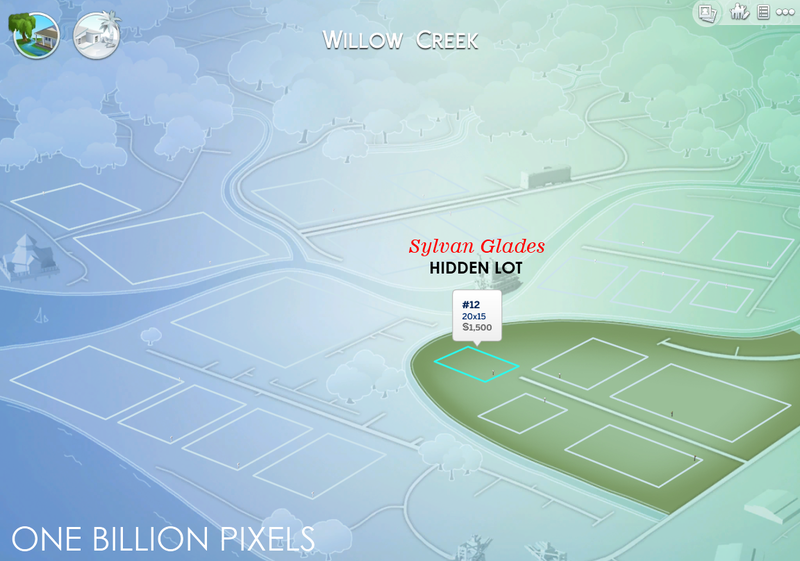 Download sims from the Gallery and place them in your world. 2. Let the game spawn more sims for you but it takes time to do that (2-3 days or 1 week sim). You can find these sims in 'Household Management' under 'Unplayed Households' - 'Not in World'. Hey, I got one question. 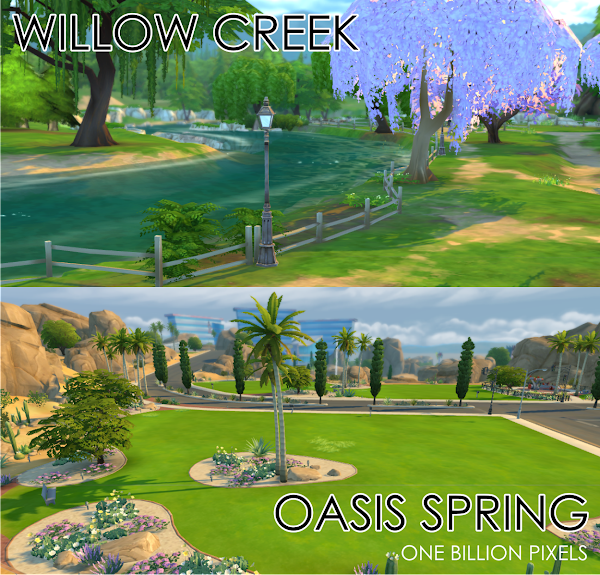 Can I download Oasis Springs only? How can I do it? Thanks x. Thank you <3 I'm really, really excited to hear that! :D x. The files are up now. Please download the one you like and install only one folder. If you need help or have any question please let me know. I'll try to answer as soon as I can. How can I stopp the automatic "not in world" household who appears? Thanx! You can delete them but the game will always spawn them to populate your world. Please read all the information before you install it. Could you make it that everything but the sims are still up? Anon, that's really easy to fix. You can do it yourself. All you have to do is delete the sims from Household Management. Then choose the world you want to empty. 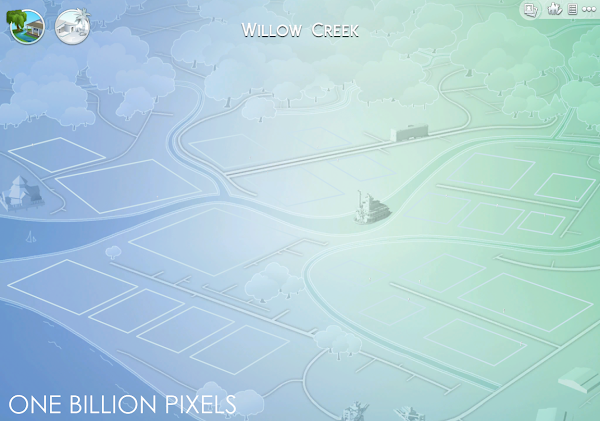 Make sure you delete all sims from Played Household, Unplayed Households and Not in World. YES YES YES!!! I was looking for a new world, which I guess is something only EA can release, but this is the closest I can get. And it was really easy to install. Thank you for making my sims-experience that much greater. is the background town/city and gigantic annoying ugly Dinosaur still there? I already did what you have done. 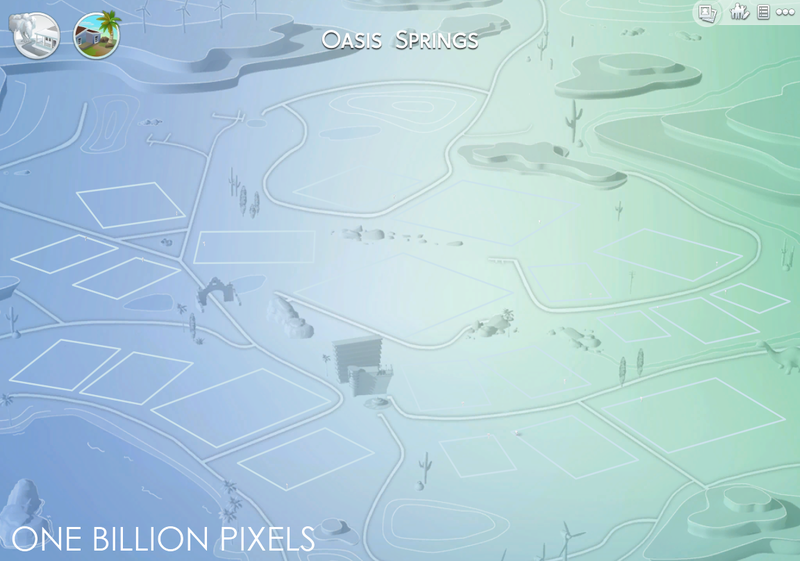 evicted all sims and bulldozed all lots and changed all to residential, but CANNOT get rid of background "scenery' modern houses , city buildings and modern Jetson style junky buildings in Oasis Springs and that Damned Dinosaur. does not go with my 1700 s themed town, Does your amended world clear up these issues? Sorry but this mode doesn't change the background. It needs core mode to fix that. Hi ! I was so glad to discover this mod ! I followed all your steps to download and install it but it doesn't work... I put the file in Tray and nothing happens... Do you have tips or clues about this problem ? Thanx !!! Make sure you update your game with the latest patch.